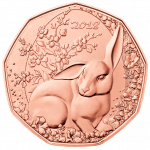 One coin, two special occasions. 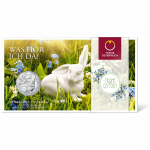 Celebrating both Easter and the 300th anniversary of the manufacture of porcelain in Vienna, our Easter Bunny coin features a depiction of a very special rabbit. Designed by ceramicist and sculptor Michael Powolny (1871-1954) around 1930, it is one of the most charming pieces ever produced by Vienna’s famous Augarten Porcelain Manufactory. 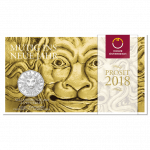 Celebrating the 650th anniversary of the founding of the Austrian National Library, our New Year coin 2018 features the lustrous head of a lion that graces the cover of the oldest book among the millions in the library’s impressive collection. 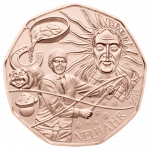 This spectacular seasonal coin has not only been conceived to congratulate the National Library, but also to wish you a very happy 2018. 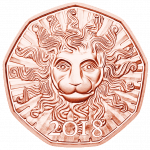 May you have the strength of a lion! 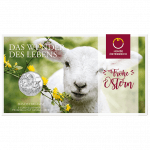 Much used in ecclesiastical art, with its youthful innocence, exuberance and vulnerability, the lamb has long been a symbol of spring, of birth, of life itself. 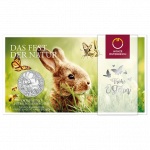 Easter is the time of year most associated with this sweetest of creatures, which graces both sides of our 2017 Easter coin in both special uncirculated quality in silver and uncirculated quality in copper. One of the most recognisable pieces of classical music of all time, the Blue Danube is so evocative of Austria that it is effectively the country’s unofficial national anthem. 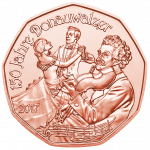 Composed by Johann Strauss II in 1866 and originally performed in 1867, the waltz celebrates its 150th anniversary in 2017. 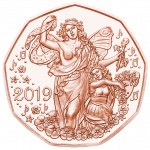 As the first tune of the year to be played on Austrian radio, the Blue Danube is synonymous with the New Year and is thus the perfect theme for the Austrian Mint’s New Year coin. It may be more than half a millennium since it was painted but Albrecht Dürer’s ‘Young Hare’ still has an uncanny ability to move and fascinate. 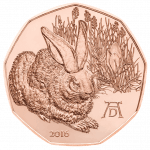 Probably the most famous depiction of an animal in the history of European art, the magnificent watercolour shows all the cuddly characteristics that have led this shy and lovable creature to take its place in Middle-European Easter tradition − and make it the ideal subject for our delightful Easter coin. 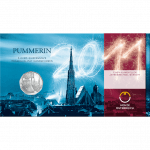 Few events capture the spirit of the New Year like the Vienna Philharmonic Orchestra’s New Year's Concert. For decades the world-famous orchestra has begun the year with a message of hope, friendship and peace to the world by performing the evocative and timeless repertoire of the legendary Johann Strauss family. 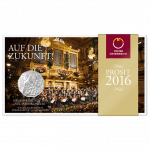 In 2016, the Austrian Mint immortalises the New Year’s Concert in the shape of its ever-popular New Year coin. 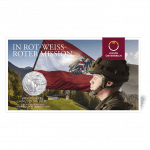 In addition to their duty to defend Austrian territory, the Austrian Armed Forces (Bundesheer) play a vital role in international peacekeeping and humanitarian relief missions, and also provide invaluable assistance in cases of natural disaster. 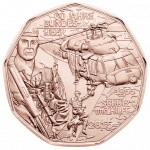 Commemorating the foundation of the Bundesheer in 1955, this dynamic 5 euro coin pays homage to the brave men and women who have been performing those duties for the past 60 years. Not just a time for celebrations and resolutions, New Year in Austria is also a time for giving gifts. 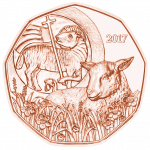 This is no doubt why our New Year coins are among our most popular products. 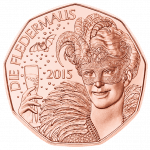 The traditional performance at the Vienna State Opera every New Year’s Eve, the operetta Die Fledermaus (The Bat) is the theme of our charming New Year 2015 copper coin. 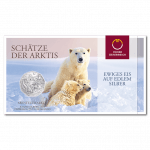 Celebrating the official discovery of Arctic archipelago Franz-Joseph-Land by Austro-Hungarian explorers in 1873, as well as the opening of the polar bear enclosure of the same name at Vienna Zoo, Arctic Adventure is the superbly crafted 5 euro silver coin from the Austrian Mint. 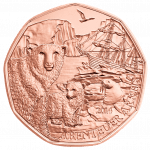 Celebrating the official discovery of Arctic archipelago Franz-Joseph-Land by Austro-Hungarian explorers in 1873, as well as the opening of the polar bear enclosure of the same name at Vienna Zoo, Arctic Adventure is a superbly crafted 5 euro copper coin from the Austrian Mint. It is said that every picture tells a story, but few coins bring history to life as convincingly as this. 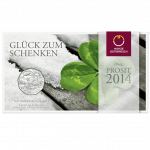 Not only for giving gifts, the New Year is also a time for the people of Austria to put the harshness of winter on hold and to ensure the year to come will bring them good luck. 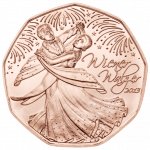 This delightful New Year 2014 coin celebrates some of the most typical customs that help them do so. 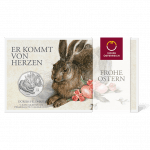 Not only for giving gifts, the New Year is also a time for the people of Austria to put the harshness of winter on hold and to ensure the year to come will bring them good luck. 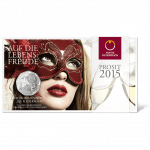 This delightful New Year 2014 silver coin celebrates some of the most typical customs that help them do so. As a land of spectacular snow-capped peaks and beautiful steep-sided valleys, Austria is also home to an abundance of fast-flowing rivers, crystal-clear streams and pristine lakes. 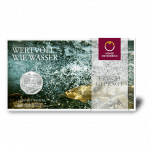 Struck in honour of the UNESCO Year of Water Cooperation 2013, whose objective is to raise awareness of the challenges facing water management, Land of Water proudly celebrates this aquatic paradise. 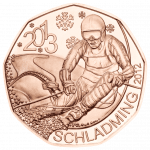 Struck in commemoration of the “Ski festival with heart”, as the World Alpine Ski Championship 2013 has been labelled, this sleek and stylish 5 euro copper coin is a must for all winter sports enthusiasts. 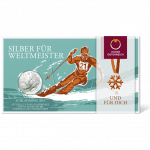 Struck in commemoration of the “Ski festival with heart”, as the World Alpine Ski Championship 2013 has been labelled, this sleek and stylish 5 euro silver coin is a must for all winter sports enthusiasts. 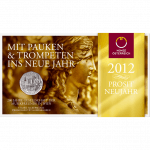 Legendary in the world of classical music, the Society of Music Lovers hosts over 800 concerts each year at its headquarters, the aesthetically and acoustically brilliant Musikverein in Vienna. 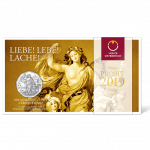 In commemoration of the Society’s bicentenary in 2012 the Austrian Mint has struck this timeless 5 euro silver coin, an ideal gift for music lovers and coin collectors alike. Legendary in the world of classical music, the Society of Music Lovers hosts over 800 concerts each year at its headquarters, the aesthetically and acoustically brilliant Musikverein in Vienna. 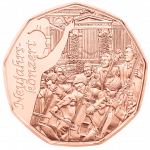 In commemoration of the Society’s bicentenary in 2012 the Austrian Mint has struck this timeless 5 euro copper coin, an ideal gift for music lovers and coin collectors alike. 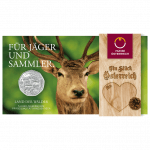 With almost half of Austria covered in woodland, the United Nations International Year of Forests 2011 has a special meaning to Austrians. 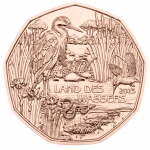 This distinctive 5 euro silver coin highlights this initiative aimed at raising awareness about sustainability of all types of forest. The story of the Pummerin of St Stephen’s Cathedral in Vienna is as dramatic as the sound of the gigantic bell itself. 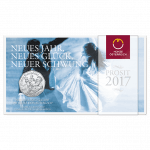 This exquisite 5 euro silver coin is a delightful memento of the 300th anniversary of one of Austria’s most beloved national icons. 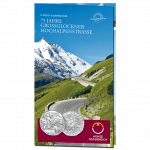 Celebrating 75 years of engineering wonder the Grossglockner High Alpine Road, this 5 euro silver coin is something of a little marvel itself. Not only does it brilliantly depict one of Austria’s main tourist attractions but also cleverly portrays motoring through the ages.